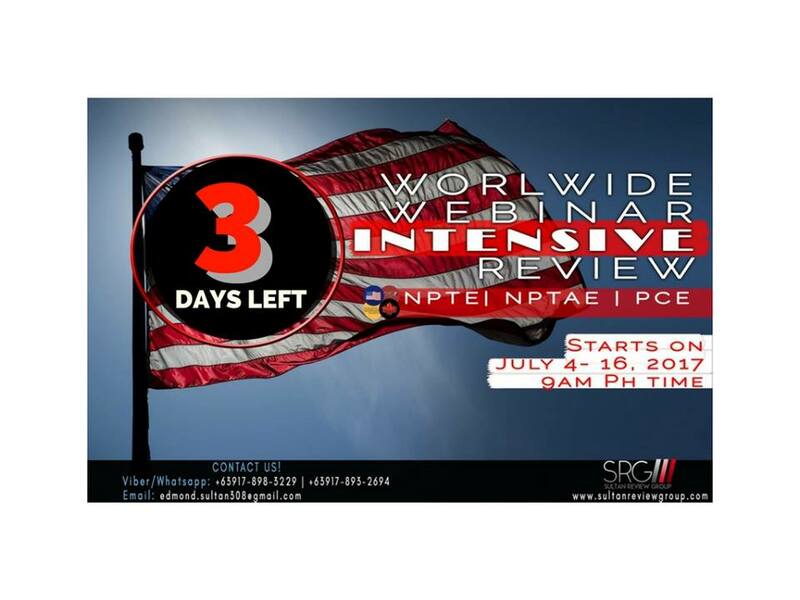 3 days left until the start of the Worldwide Intensive Webinar Review for the NPTE, NPTAE, and PCE! Previous Entry:4 days left ’til the Worldwide Intensive Webinar Review for the NPTE, NPTAE, and PCE! Next Entry:2 days left until the most awaited Worldwide Intensive Webinar Review for the NPTE, NPTAE and PCE!